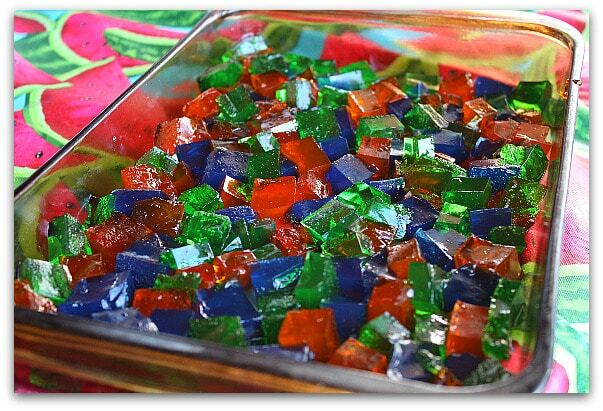 I thought I’d make a little treat to celebrate our beloved sea glass this summer: Sea Glass Jello (adapted from The Food Librarian). 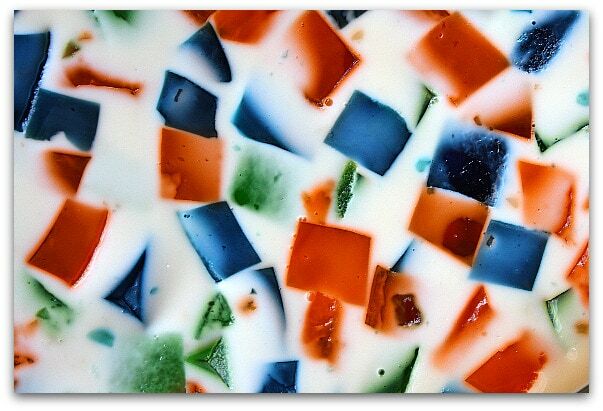 I decided to use the three colors that are most easily found in sea glass- orange (or amber), green, and blue (most treasured, but a little trickier to find!) 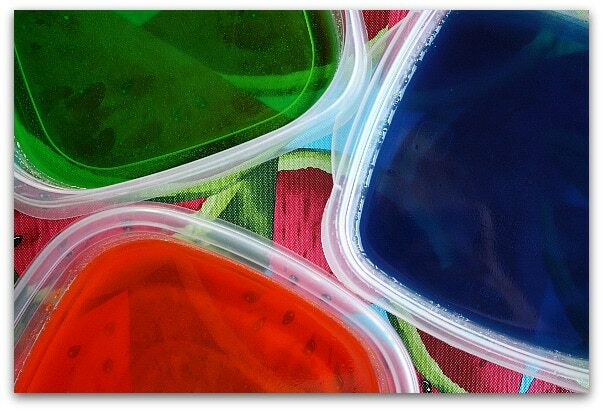 Three containers – three flavors- mix each with 1 cup of hot water & refrigerate until firm. 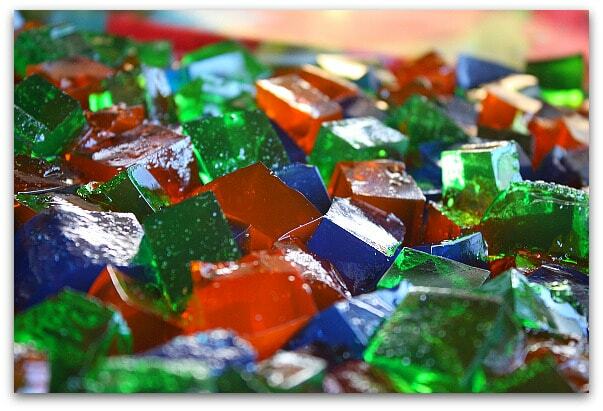 Once firm, cut into small cubes (exact size doesn’t matter… just rough cut cubes) and place them into a 9×13-inch pyrex pan. Mix up the colors so they’re not all bunched together. 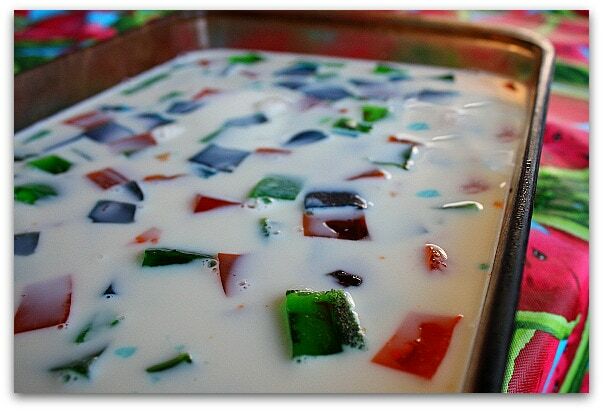 Mix 2 envelopes of plain gelatin in a bowl with 1/2 cup cold water, 1 1/2 cups hot water and a can of sweetened condensed milk. 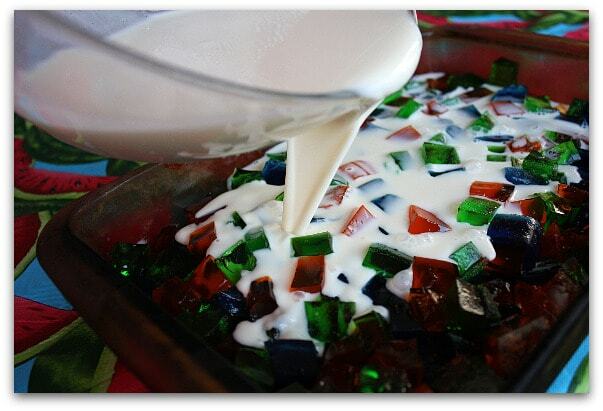 Pour it over the jello cubes. Refrigerate until firm (overnight is best). Cut into slices and place on a platter. These treats can be eaten hand-held. If you’re a fan of sea glass, you might be interested in checking out this sea glass jewelry from Kieli Storm, whose small studio is located in Scituate, MA: Silver Storm & Co. I buy a piece of sea glass jewelry from her every summer. It’s beautiful, very well-made jewelry. She hunts for the sea glass herself (doesn’t buy it in bulk) and she’ll also make custom pieces from sea glass that you’ve found yourself. I made this recipe for my daughter’s baby shower in June. She knew she was having a boy and her nursery colors were blue, green, and yellow. The theme was sea life and this fit so perfectly.. Not only was it beautiful on the table but was also delicious. Thank you so much for another great recipe! Omg! Not only would my kiddies love these, but I’m already loving these just by looking at it. So simple too. Thanks for sharing this. How stunning! Has anyone ever added alcohol for an adult version? I would love to make this for a nice summertime party next year…. @Stacy Marie, I’ve not done that, but it seems like a good idea! Delicious….. what fun! We are kindred spirits and neighbors too. Please feel free to join our New England based sea glass hunters group the “North East Sea Glass Sociey” at http://www.northeastseaglasssociety.ning.com. Membership is free and we have lots of fun. You will fit right in ;)! 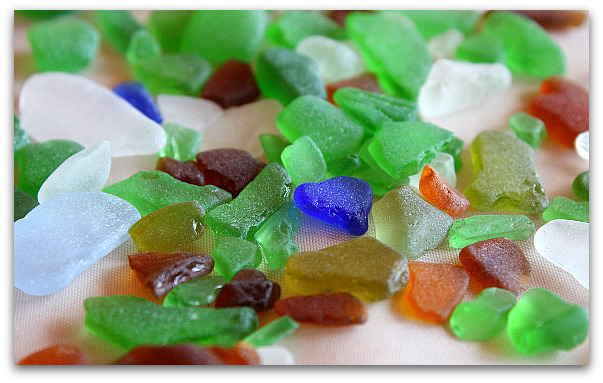 What a creative way to showcase the colors of sea glass. Love it ! Going to share this on our facebook page. What a great idea. It´s so colorful and beautiful! This looks delicious! Very colorful too! I’m going to bring this to the next faculty meeting 🙂 Thanks for sharing! Thanks for this recipe! I made this a few days ago and we all really enjoy it. A nice tasty treat, simple too! I love this post and keep coming back to it, so I thought I’d drop you a comment. I do plan to make this for my kids soon – partly because they’ll love it and partly because I miss the sea! @Ruby, Happy to hear you’ve enjoyed it! 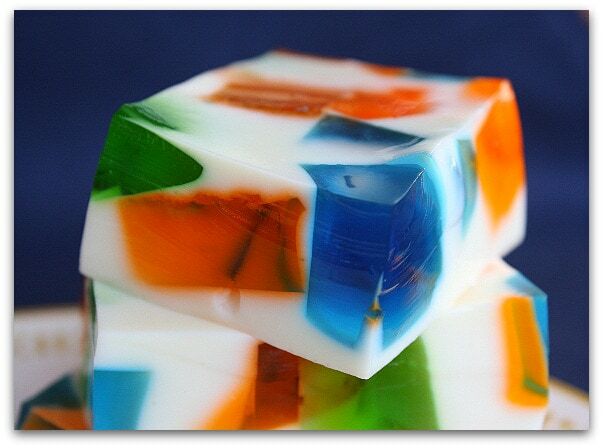 Love the colours of the jello. 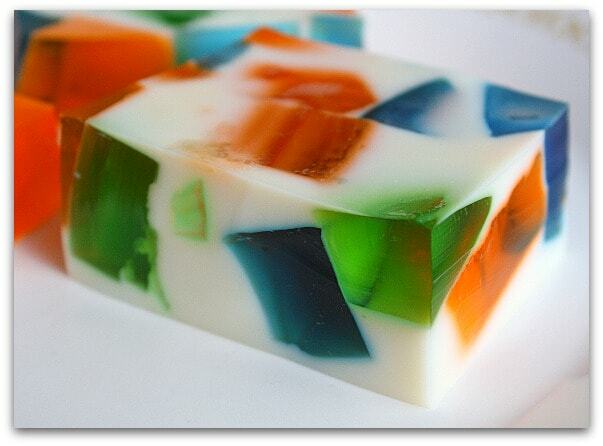 Looked like soap bars too.